When you go to a thrift store, you think the prices you'll find are rock-bottom cheap for that Gap shirt from a few years ago, a stylish silky top from Ann Taylor, or that great Vince Camuto handbag that shows little wear. You might even find some vintage '60s clothes and shoes for a song. Yes, thrift store prices are good--very good--but they can be even better if you know a few tricks of the trade of thrift store shopping. Check out these strategies to save even more on already cheap stuff. You'll make out like a bandit on this treasure hunt. Some thrift stores hand out coupons or store credits when you donate merchandise. 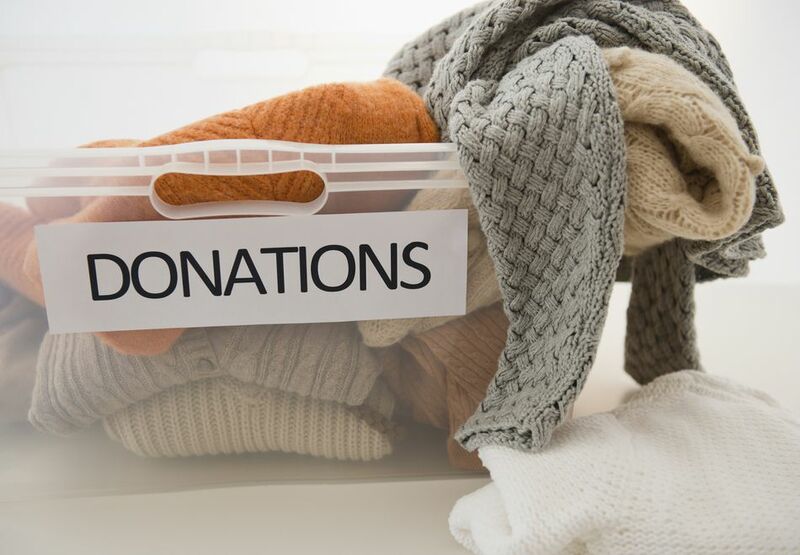 So gather up all those sweaters, handbags, and shoes that you haven't worn for a year or more and take them with you as a donation before you start shopping. Combine thrift store prices with coupons for an unbeatable deal. Look for coupons in school coupon books and your newspaper. Some thrift stores now offer electronic coupons. If you have a cellphone, text the appropriate number, and they'll respond with a coupon code in real time while you're shopping. Sweet! Senior and student discounts are common. Check with your favorite thrift stores to see if there are any discounts that you could be taking advantage of. You might have to shop on a certain day of the week to get your discount, but if it saves you cash, it's worth it. Every thrift store has its own way of running sales--one store may discount items with a certain color tag, while another might offer a percentage off ​in a different department each day. Get the lowdown on how sales are handled at the stores around you. Then make the most of them. Look for large, unsorted containers of merchandise. They usually contain the who's-its and what's-its that no one could identify or knew how to price. This is where the absolute best deals hide out. If you find something that you need in one of these containers, you can bet it will be cheap. Goodwill maintains outlet stores around the country to sell off excess merchandise from their regular thrift stores. Hit one of these locations and discover the thrill of buying your clothing and housewares by the pound. Thrift stores get flooded with donations from December as people rush to donate so they can claim the donations as tax deductions and then in January when they begin to work on their New Year's resolutions to lose weight and find they have a closet full of clothes that don't fit or clean out all those closets and storage areas and have loads of stuff to give away. Shop in January, and you're also likely to be rewarded with bag sales and big store-wide savings. Think 50 percent off everything.